❤ HIGHEST 840 X 480 NATIVE RESOLUTIONS: Max. 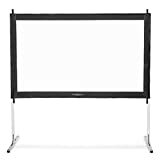 supported resolution:1920*1080, Aspect Ratio: 4:3/16:9, Contrast Ratio: 2000:1, Lamp lifetime: 40000 hours, Watching Size: 32-176 with projector distance 1.5m-5m. The ideal display quality size is 120 at distance of 3.5M. ❤ MULTIMEDIA PORTABLE PROJECTOR: DR.J projector is compatible with TV Box, Amazon Fire TV Stick, ChromeBook, PCs, Laptops, Tablets, Blue-ray DVD player, SD Card, USB Flash Drive, Media players (Music, Pictures, Video, TXT), iPad, iPhone, Android Smartphones ( Wireless HDMI Dongle not included). ❤ IDEAL CHOICE FOR HOME ENTERTAINMENT: DR.J LED projector is great for home theater, movies & video games. Don't recommend for PPT presentations. For detailed data presentations,like PDF,Excel,Text files, we recommend you to order our another LED projector. 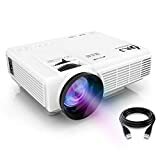 ❤ 3-YEAR WARRANTY (100% MONEY BACK GUARANTEE): DR.J LED Projector offer our customers a 3-year 100% Money Back Guarantee. If your projector has any quality issues, please contact our customer service immediately. We will definitely help you solve it. 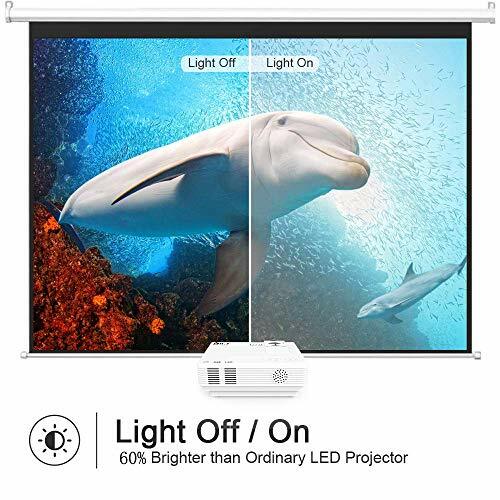 This portable multimedia projector features an HDMI input which compatible with the Amazon Fire TV stick, the latest generation of video game consoles, chromecast, PCs, laptops, televisions, DVDs etc. It also has VGA input and USB / Micro SD / AV input, as well as a 3.5mm mini jack output. 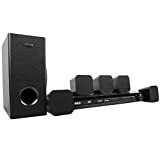 Supported format includes MP3/WMA/ASF/OGG/AAC/WAV for audio files; JPEG/BMP/PNG for image files and 3GP(H.263,MPEG4) /AVI(XVID,DIVX,H.264) /MKV(XVID,H.264,DIVX)/FLV(FLV1)/MOV(H.264)/MP4(MPEG4,AVC)/MEP(MEPG1)VOB(MPEG2)/MPG(MPG-PS)/RMVB(RV40)/RM for video files. It is possible to use iOS, Android, and Macs on this LCD video projector, but you'll need to buy an additional cable that's not included in the package. You'll need a lightning to an HDMI adapter for iOS devices; a Micro USB to HDMI MHL adapter for Android devices; a Mini Displayport to HDMI adaptor for MacBook Air; and a Type C to HDMI adapter for Macbook and MacBook Pro.